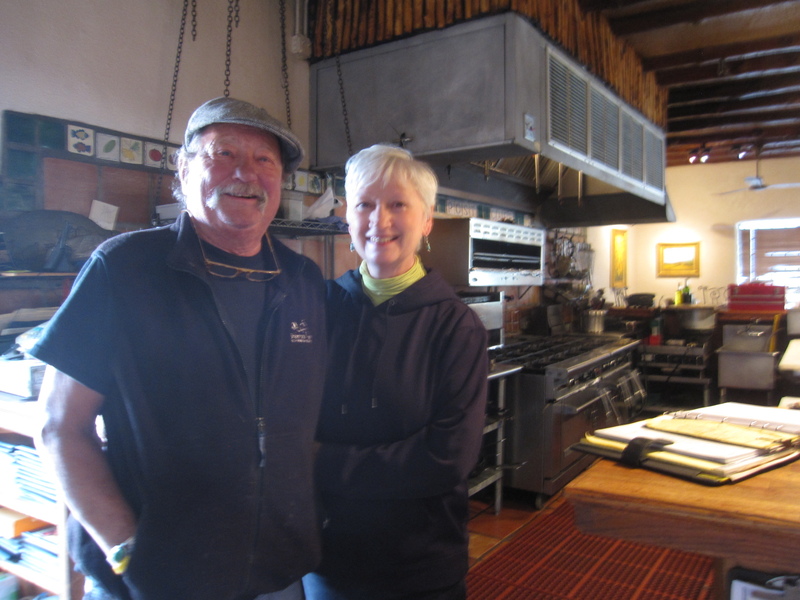 The Trading Post Cafe has been open for seventeen years in the same beautiful location in historic Ranchos de Taos right at the base of the San Francisco of Assisi church. They were tremendously kind to show my work during the peak of the New Mexico tourist season. It is always stressful to pack and travel with artwork and especially with the delicate, powdery pastels I chose for this show. I added an extra element of concern when I matted everything in pure white mats that showed any pastel residue that might fall from the work. Thankfully everything traveled well without any breakage or changes. 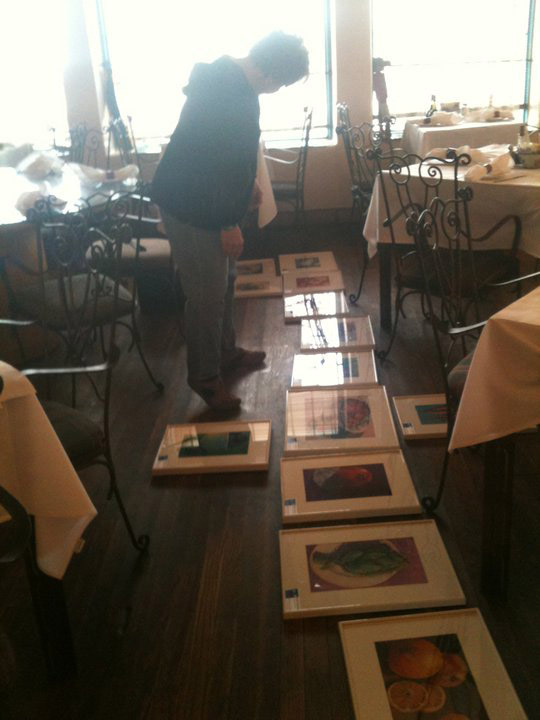 I inventoried and priced each piece before my husband, Michael and daughter, Kelsey started to hang the work. I deliberately waited to price the work until I saw examples the day before. Taos is a busy art market and I decided to price the pieces a little higher than I normally do. I still priced the work inexpensively in hopes of better sales. 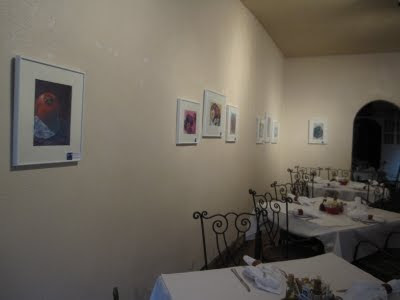 I was extremely honored to be given the best room in the gallery/restaurant to show my work. 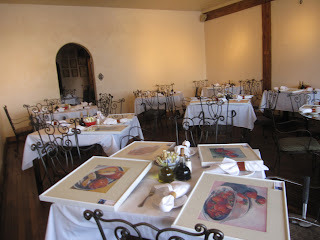 It is a huge room and I was challenged to build an exhibit of my small pieces that would fill the space. Kelsey and I spread out the work and decided to group pieces by size and color rather than evenly space them across the walls of the room. I have eighteen pieces in the total show. With help from Michael and Kelsey the show was hung in about an hour. 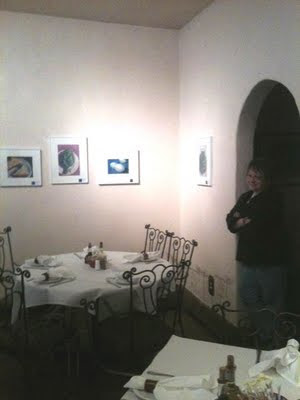 At the same time we were hanging my work a local Taos artist was in the back hanging her new show. I was shocked when I discovered her work was being put in the restroom! Wow - I had the biggest room in the place and she was happy to hang in the bathroom. I can't express how thrilling this experience was for me. 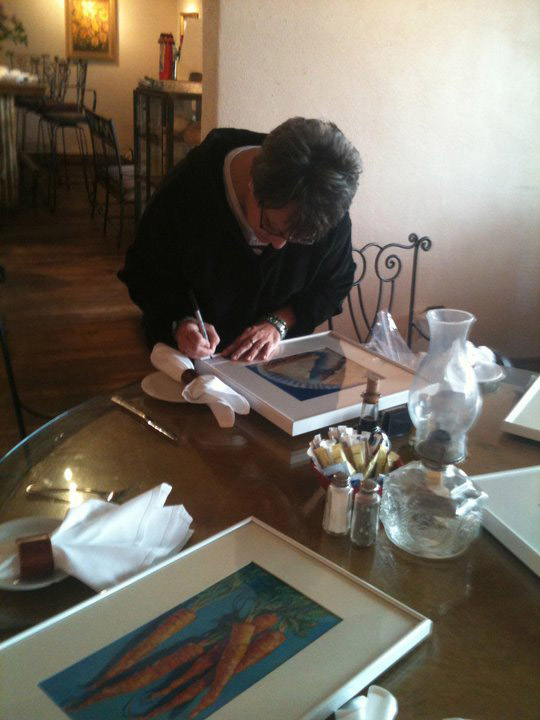 I have traveled to Taos since I was a little girl and I've dreamed of showing my artwork there all of my life. This was truly a dream-come-true day. My show will be on exhibit until July 10th. The Trading Post Cafe is open Sundays at 5:00, Closed Mondays and open Tuesday through Saturday for lunch and dinner. What a great space to show great artwork- and I have also been to Taos and your work should be there as much as any one elses!